RAMEN: Japan’s working class hero, a social equalizer and the staple of Japanese truckers (remember the movie Tampopo)? Funnily enough, ramen isn’t even Japanese as these thin, yellow egg noodles (that just ask to be slurped), were imported to Japan from China. 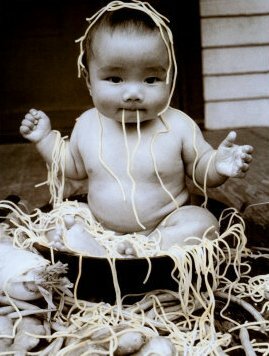 Ramen is an amalgam of the Chinese “ra” (to stretch) and the Japanese suffix “men” (for noodles). Ramen-ya (ramen cafes) are hugely popular in Japan and despite its proletarian image ramen connoisseurs include anyone from truck drivers to Harajuku Girls and Japanese steel magnates. 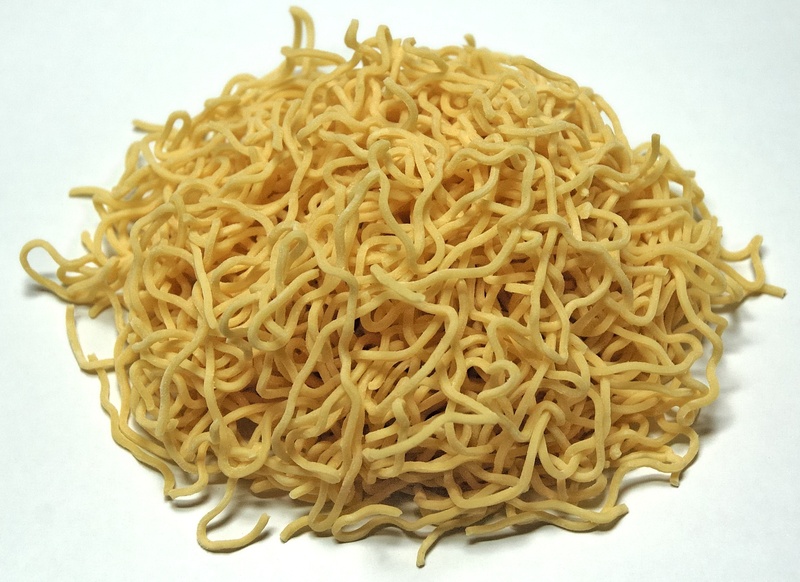 It’s also big business – ramen is exported all over the world (usually the packaged dried (‘fried’) instant noodle variety which was invented by Taiwan’s Momofuku Ando in 1958), which has been a staple in the diet of university students globally. The current “ramen craze” is not just limited to countries outside of Japan. Ramen is so popular in Japan that there is even a ramen museum in Yokohama which traces its history and rise as a culinary icon and includes a replica 1950s Tokyo suburb where devotees can saviour local regional specialties of ramen soup. Michelin is also rating ramen-ya around the land of the rising sun. And here’s something ramen nerds can quote at their next bowl with friends – economists use the noodle as an economic measure. 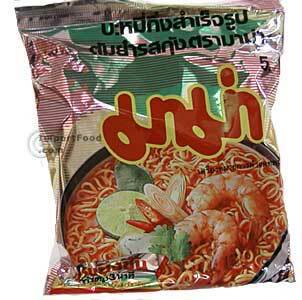 In Thailand there is an economic index based on sales of instant ramen – the Mama Noodles Index (Mama is Thailand’s biggest instant noodle maker), which is used to reflect economic times in the Kingdom. The theory is that increased sales of instant noodles, which are usually cheap, occurs because people can not afford more expensive foods. The economic value of ramen cannot be underestimated. I have been told that instant ramen is also an alternative currency in some US prisons! So what can we expect in a decent bowl of ramen (not the packet kind)? Good Japanese-style ramen uses fresh eggs noodles (sometimes handmade), with the broth made with dashi (a basic stock) and chicken or pork bones (sometimes including a pig’s head), vegetables and soy or miso depending on the style and region. The soup is ramen’s soul and ramen chefs can spend a couple of years just learning to perfect their broth. There are four distinct styles of ramen: shoyu-ramen (soy ramen) from Tokyo; shio-ramen (salt ramen) and miso-ramen (ramen in a miso-based broth) and both from Sapporo; and tonkotsu-ramen (ramen in a white pork broth) from Kyushu. Fresh ramen noodles are cooked until katame (‘al-dente’) and served in the hot broth usually with toppings like sliced pork, bean sprouts, spring onion, naruto-maki (the thinly-sliced white fish cake with a pink swirl), nori and an ajitsuke tamago (a partially runny-yolk marinated boiled egg). Depending on the style (or the chef), it isn’t unusual to also find sweet corn, spring onion, strips of pickled bamboo, cloud-ear fungus and other delights (ramen is becoming one of those dishes that is starting to change through innovation and fusion). If you are lucky to visit Japan I can recommend two excellent blogs devoted to savoring ramen both written by expats living there. The first is Ramen Adventures and the other is Ramen Beast which comes with its on English language iPhone app with a map of reviewed ramen-ya around the country. Keep a look out for my reviews of ramen-ya in Australian and around the world at the The Hungry Bon Vivant.